The advent calendar was a big success! It was really fun to see the little village come together–so I thought I’d take a picture in all its elfin glory. Cheers! Five days of cuteness! 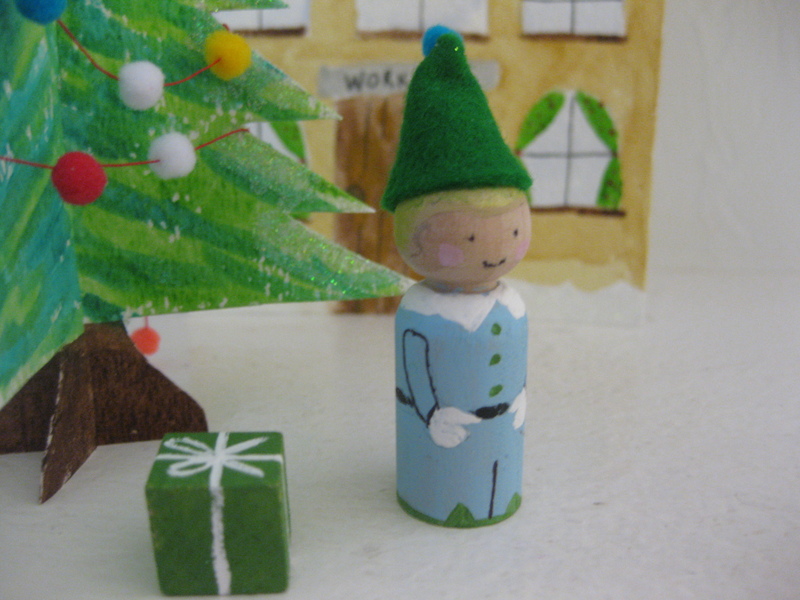 Still to come, six more peg elves, two more elf houses, the big guy himself on the 24th, and some other little surprises. I’ve had so much fun making this advent calendar. I haven’t painted anything except walls in a long time, and I was a little out of practice. 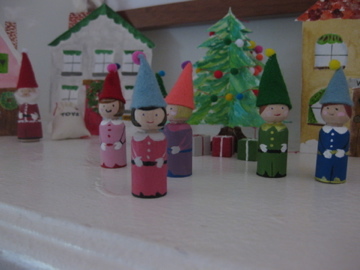 My skills definitely improved after a few elves–the elf waiting on December 18 is superlatively cute. 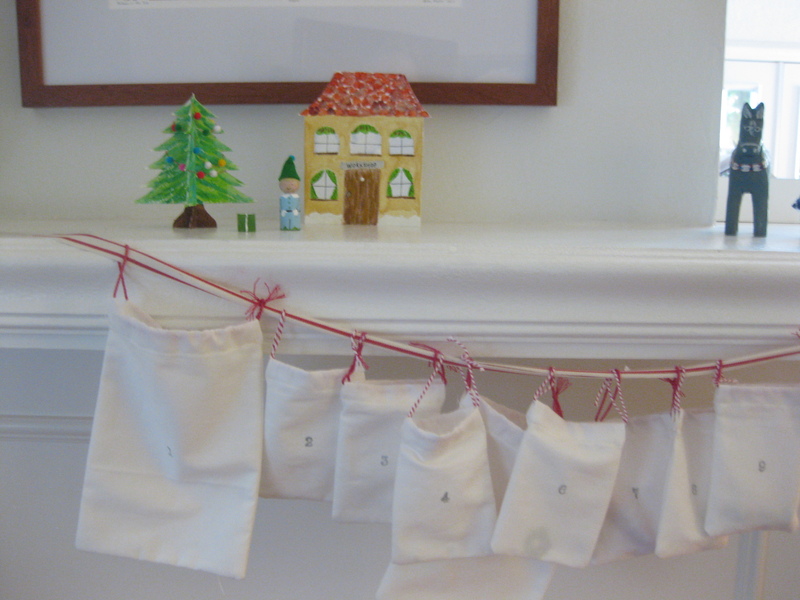 The little drawstring bags were pretty easy to make and I just stamped the numbers on with a regular ink pad. 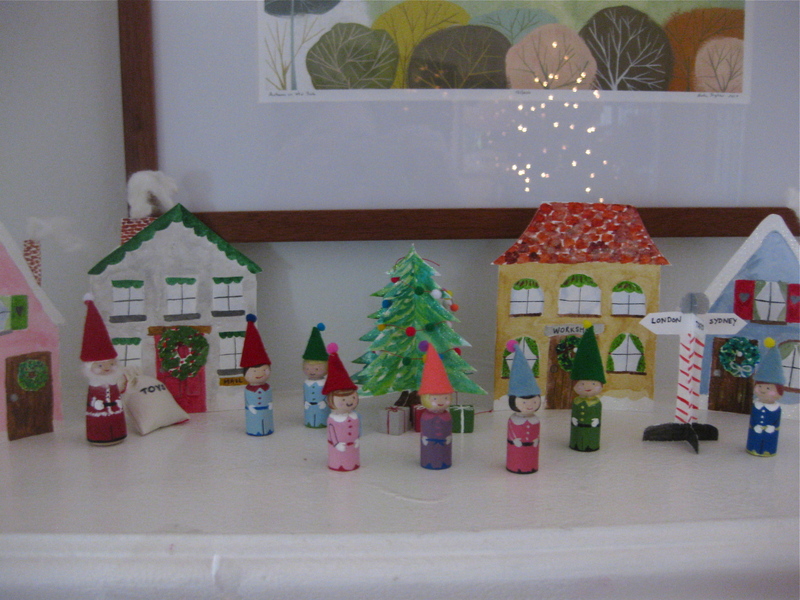 I still have a few more things to make–Santa’s house!–but I’ve got days and days to finish up.